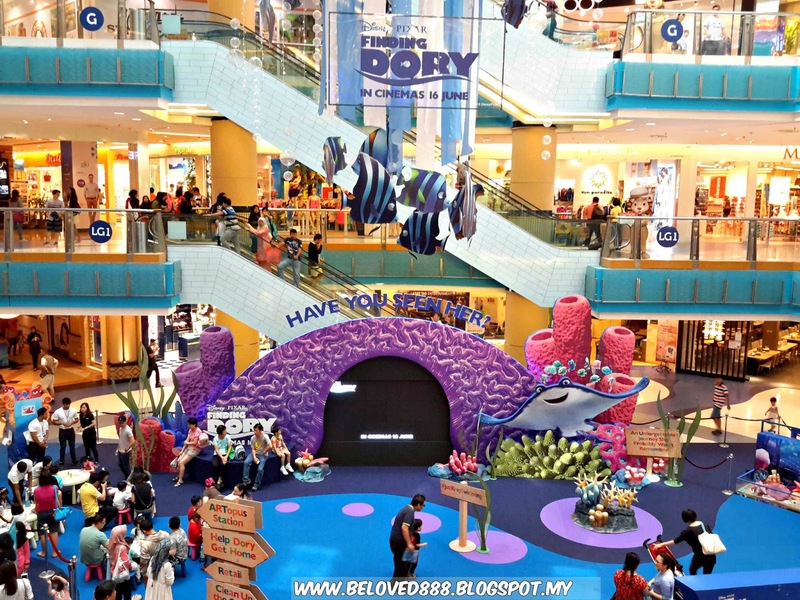 Is School Holiday again and this round Sunway Shopping Mall celebrate the long awaited sequel to ‘Finding Nemo’, Disney•Pixar's ‘Finding Dory’! The fun begins at Sunway Pyramid’s LG2, Blue Concourse from 27 May – 19 June 2016. The entire concourse will be transformed to a underwater spectacle with many activities for kids to participate in! Families can expect a fun-filled time with different activities and challenges at Sunway Pyramid. Register your child and collect stamps by completing all three exciting activities to redeem Finding Dory Sticker book. The first game station : Help find Dory in the underwater maze. Then parents can proceed at the ARTopus Station to let your child try their artistic hand. The last station is help fish out trash at the Save The Ocean activity area! Is time for bonding session between parents and their children. Aside from the games, shoppers will also get the opportunity to get their hands on the latest Finding Dory merchandise, toys, and even tickets to the movie from the retail booths nearby. “Akin to Disney•Pixar movies, we aspire to bring magic that transcends generations whilst sharing delightful moments which both parents and children can enjoy together.” according Kevin Tan, Chief Operating Officer of Sunway Shopping Malls. “Finding Dory” reunites the friendly-but-forgetful blue tang fish with her loved ones, and everyone learns a few things about the true meaning of family along the way. The all-new big-screen adventure dives into theaters in 2016, taking moviegoers back to the extraordinary underwater world from the original film. Follow Sunway Pyramid Facebook at http://www.facebook.com/sunwaypyramid. Instagram : @Sunway_Pyramid.